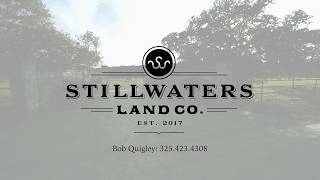 Canyon Creek Ranch - Bob Quigley - Stillwaters Land Co.
Use address 4075 Fischer Store Road Wimberley, TX 78676 for driving directionsCanyon Creek Ranch is located approximately one hour from Austin and San Antonio and four hours from both Houston and Dallas. The quaint village of Wimberley is 15 minutes away with nice shopping and dining. The property is in Hays County and less than 1 mile from the Comal County line.